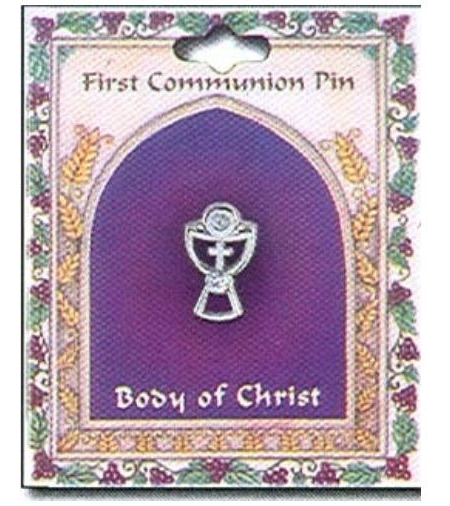 This silver coloured Chalice design with a cross in the middle First Holy Communion pin / booch is extremely popular Communion gift. 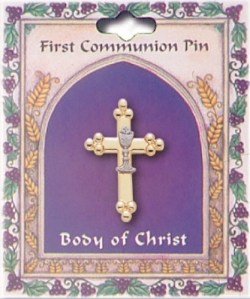 It is a First Holy Communion pin / booch that can be worn on boys communion suit's lapel, Communion tie or Communion dress. 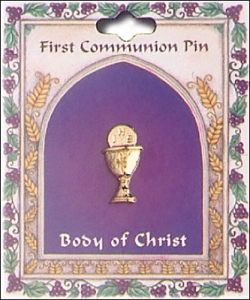 card is 3" X 2 .5"